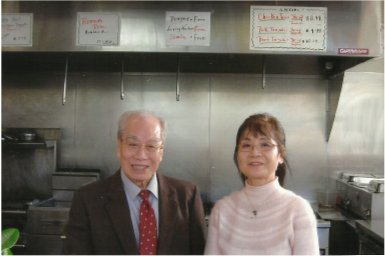 My husband (James Wang) and I (Yoko Wang) have been in the restaurant business for more than 30 years. We started with Grand Restaurant in Vancouver, B. C. Canada, then, we operated Shanghai Restaurant in Bellevue, Washington, for 15 years. From there, Szechuan Express in Reno, Nevada, for 3 years, Kiku Tempura House in Seattle, WA for 3 years, and lastly Toshio's Teriyaki in Seattle, for 10 years. To give glory to God through this restaurant. To work as an ambassador of God. God is very faithful. He has sent us a lot of people with whom we could share our testimonies, we could lay our hands on for healing, we could lead to salvation, we could deliver from addiction. If we experience God's miracle working power even once a day, our physical fatigue disappears instantly. We feel joy in working every day. This is the secret we are successfully continuing in our restaurant business. By God's leading, we came back from Reno to Bellevue in 1997. During this transition period, God put the word "teriyaki" into my husband's spirit. 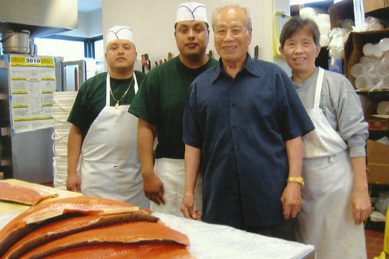 As soon as we arrived in Bellevue, he started to look for a teriyaki restaurant on the market. He spotted Toshio's Teriyaki. We contacted the owners, but we found out they didn't want to sell. Therefore, we bought Kiku Tempura House instead. We operated it for 3 years. Again by God's leading, we sold it in 2001. I thought I could retire at last! But my tenacious husband said, "God has given me Toshio's Teriyaki." God miraculously opened the door for us to purchase Toshio's Teriyaki in 2002. When we bought this restaurant, my husband wanted to remodel right away. I didn't agree with his idea, I kept saying "NO, NO, NO" for the seven years. At the end of the seventh year, I felt God was saying, "He wanted to remodel so much, why don't you help him?" So I agreed with him, and started to pursue his plan in December, 2009. 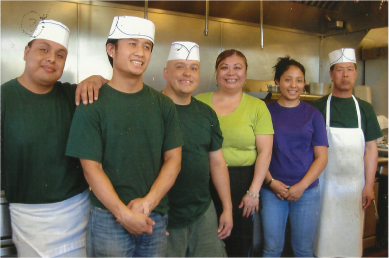 We completed the remodeling of Toshio's Teriyaki in June, 2010. It turned out the best time to remodel. Builders and contractors were not so busy and materials were not so expensive. I am so glad we had waited for God's timing!!! Thus, our life has been directed by God. We keep glorifying God in this restaurant until next His command comes from the Almighty. Only one thing we desire is that the Holy Spirit is residing in this place continuously!